HEAD-TO-HEAD: Can Dons get back to winning ways against Walsall? 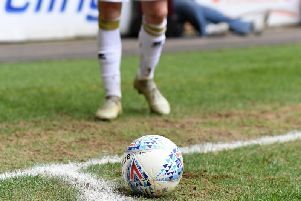 Robbie Neilson feels his MK Dons side can bounce back from consecutive defeats and get their season on track again, beginning with the visit of Walsall on Tuesday night. Losing to Portsmouth and Bradford City in succession leaves Dons 14th in League 1. But back-to-back home matches against Walsall and Oldham on Saturday offers Neilson's side the opportunity to stop the rot and get back to winning ways after a strong September. Walsall return to Stadium MK with a decent record in Milton Keynes. Drawing 1-1 last season, the Saddlers won three of the previous four meetings at MK1. This season, they come with one defeat in five but after an indifferent start, sit 16th in League 1, two points behind Dons. And with Saturday's opponents Oldham sitting a point and a place behind Jon Whitney's side, Neilson believes two quick wins can get his side back to the sharp end of the table. "We've still got an opportunity to take six points out of nine which, if you can do that throughout the season, you'll be there or thereabouts," said Neilson. "The front three are very good. They've got good pace and Erhun Oztumer as a 10 is very dangerous on his left side, so we have to be wary of him, not to give him and space or free kicks around the box. "I think if we go out and play as well as we can, we will be expecting to to pick up full points." Walsall boss Whitney added: "It’s a place we like to go. We are looking forward to it. It’s a big pitch. "We’ve been very proactive in looking towards tonight’s game and how to cause MK Dons problems. We’re approaching a tough side and when you go there, you know they have got pace in wide positions and key men all across the pitch. "We’ve got to respect them. They’ll be hurting a little bit after the Portsmouth defeat and they’ll be looking for a reaction. We have got to be ready for an MK Dons team on the top of their game - but we’re going there confident that we can cause them problems."